Most organizations already understand the importance of compliance training. Even if they aren’t experts on the subject, they at least know the fees and penalties associated with violating applicable laws and regulations. Its value comes down to dollars and cents, which is why it’s so surprising that many companies view compliance training as merely a box to check. 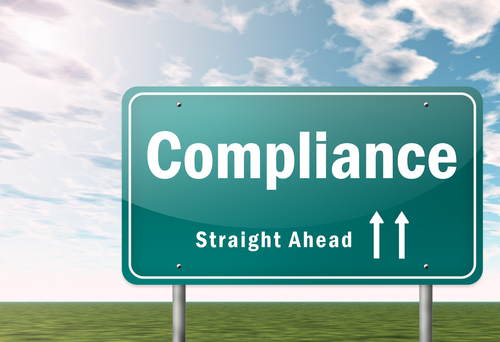 There are myriad tangential benefits associated with a successful compliance training program. For starters, it ensures your employees align with and reflect your brand image, thereby reducing the risk of losing consumer trust and missing out on valuable repeat business. Proper compliance training also bolsters your company’s credibility in the marketplace. 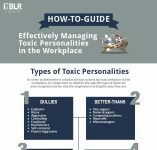 Habitual failures to comply with rules and regulations send the wrong message to others in your industry—not to mention that it puts employee well-being at risk. What if instead of viewing compliance training as a necessary evil, we decided to embrace the process for all its worth? Thankfully, technology has made this process simpler than ever before. With the advent of online compliance training, companies can streamline the entire process. No longer are you left dealing with instructor expenses, scheduling hurdles, and facility rental fees. Nor are you left scrambling to track initiatives in the off chance you’re audited and need to prove yourself to regulators. Learning technologies have revolutionized compliance training by giving global workforces unlimited access to online training resources. Organizations can virtually deploy training on a worldwide scale without sacrificing personalization. They can also update online training content quickly to reflect changes and ensure employees are always up to speed. And depending on the compliance training learning management system (LMS) involved, companies can add a more immersive, interactive, and engaging element to compliance training. This small change improves employee participation, knowledge retention, and real-world application. From advanced reporting capabilities to certification management support, there are many recent advances that should excite HR professionals. You can even incorporate interactive simulations, for instance, to move information from theory to practice and give employees experiential knowledge to mitigate on-the-job risk. Personalize to increase proficiency. Too often, companies take a one-size-fits-all approach to online compliance training, but that’s as practical as squeezing a square peg through a round hole—they’re just not made for each other. Personalization allows your employees to connect with and assign meaning to the training content, which makes it more applicable to their day-to-day responsibilities. Provide a broad range of online training activities, which you should tie back to individual goals. Staff members who can see those connections will be more apt to absorb the information. Don’t forget to track progress, adapt lessons based on employee retention, and provide personalized feedback along the way. If you wait until the final exam to tell someone where he or she went wrong, you might as well stick to a cookie-cutter approach. Shrink it down to size. Another way to hack online compliance training is to shrink support tools down to bite-sized online training tutorials, demos, and troubleshooting guides. Parceling training into smaller doses gives team members the opportunity to train and then implement the information. 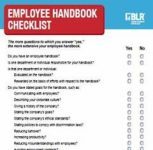 This approach can help your employees retain more information and ultimately, prevent costly workplace violations. Before implementing shorter training modules, use analytics, online assessments, and other data to target both business and employee needs. Then, develop microlearning online training resources to reinforce knowledge, bridge any gaps, and improve performance. Think of it as a sequence of sprints rather than as a marathon. Incentivize wisely. E-learning gamification can turn otherwise tedious topics into enjoyable experiences that engage audiences—or at least that’s the goal. It’s also a great way to incentivize learning. If, for example, employees earn badges upon completing each session, it gives them another reason to pursue their goals and actively engage with learning technologies. Also, gamifying your online compliance training allows you to track behavior and identify areas for improvement. If you see employees continually struggle with a specific module, you can adjust the training and remain in compliance. Monitor targeted metrics to measure performance. The beauty of taking your compliance training online is that you can track initiatives in greater depth rather than scratch the surface with traditional assessments and surveys. LMS platforms give you the ability to track every aspect of your online training program to measure how it’s performing and how your employees are interacting with the material. Let’s say you’d like to pinpoint weak spots in your latest health and safety online training course, for example. You can schedule weekly reports and data visualizations to monitor departments and determine whether they are meeting standards or require additional online training resources. Go mobile. Your team should be able to access your compliance training online without restrictions. And given that many people now rely on mobile devices for just about everything, make multiplatform content a priority. If that’s not an option, consider a mobile LMS app devoted to your training. That way, the system automatically displays the best version of your online training course regardless of a user’s preferred platform or device. As with any training initiative, a successful online compliance training strategy begins with a needs analysis and a measurable action plan. Only then can you look for a compliance training LMS that helps you achieve your objectives and ensure compliance from every member of your team. Seek platforms that offer certification management, gamification, responsive support, and robust reporting. With those tools in your arsenal, you can effortlessly hack your compliance online training program and improve your return on investment. Christopher Pappas is the founder of eLearning Industry, the largest online community of e-learning professionals in the world. He established the company as a safe online community for e-learning professionals and instructional designers to connect and share their knowledge. Pappas holds an MBA and a Master of Education from Bowling Green State University. Connect with him on Twitter.